I have been trying to find a good summary for the usage of popular classifiers, kind of like rules of thumb for when to use which classifier. For example, if there are lots of features, if there are millions of samples, if there are streaming samples coming in, etc., which classifier would be better suited in which scenarios? 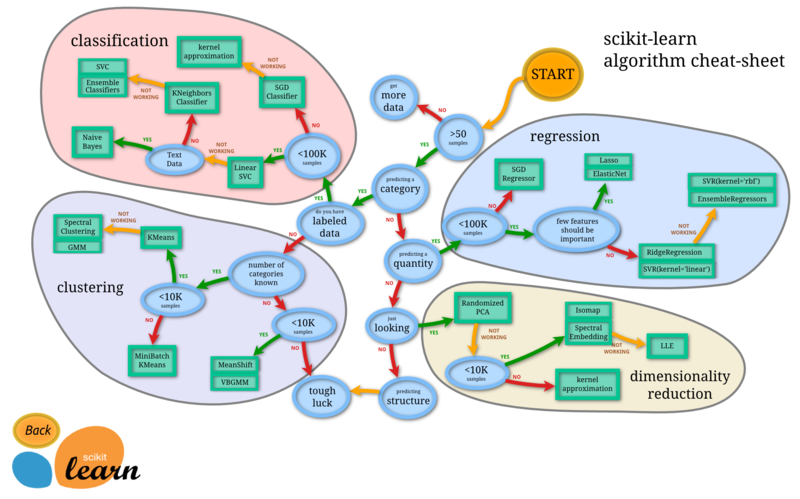 Rules of thumb can only get you so far, but scikit-learn's cheat sheet is quite helpful for basic guidance. Here's a blog post by the creator of said diagram. Why do naive Bayesian classifiers perform so well? Will the classification accuracy vary if we first classify based on a single variable and then use the rest?